Georg Jensen Salad Set No. 57. This is in an ornamental pattern designed by Georg Jensen. 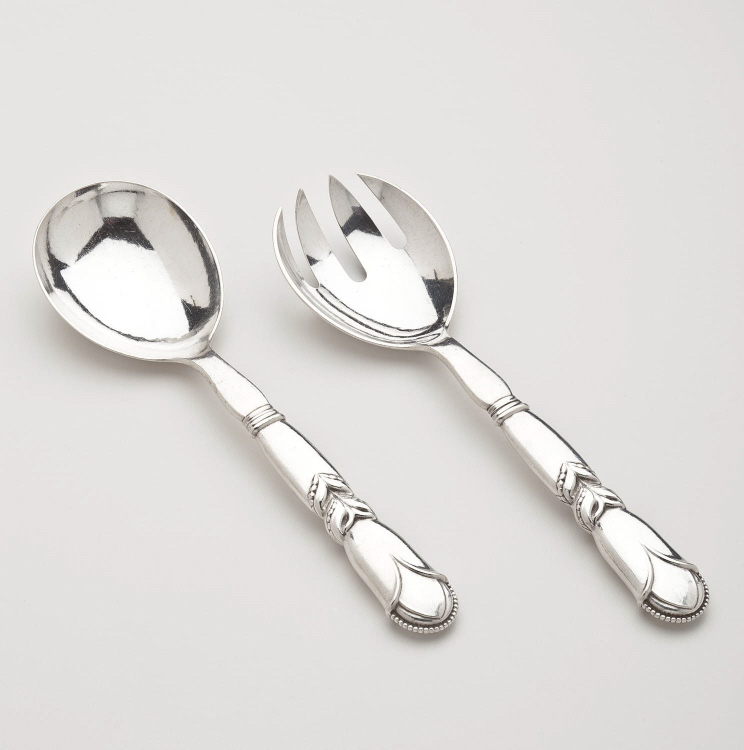 This two-piece salad set is sterling silver and stainless steel. Both pieces measure 8.625 inches long. The servers bear impressed marks for Georg Jensen, Sterling, Denmark, 57. This serving set is in excellent condition.